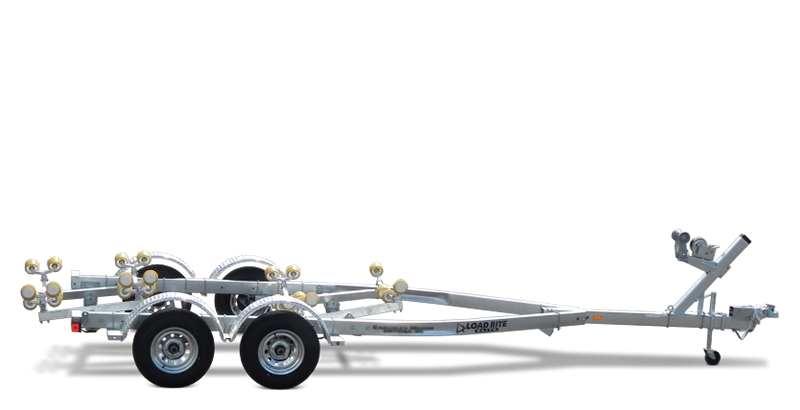 Load Rite galvanized tandem and tri-axle roller trailers are made with premium galvanized steel for lasting durability and performance to haul boats of 20 feet and more. The galvanized steel frame design is sturdy and long lasting, with stylish fenders and graphics accents. The tubular shape shrouds wiring and brake lines from damage during use. Load Rite’s patented roller system offers the greatest articulation in the industry, yielding superior roller-to-hull contact over the competition through the clever design of patented pivoting aluminum extrusions. The Thermal Plasticized Rubber (TPR) roller surface will not mar hulls. The patented Delrin® roller bushing assures a smooth load and launch every time. With a wealth of standard features including torsion axles, disc brakes (where brakes are indicated), LED lights, and a long list of available options, your Load Rite will deliver exceptional durability and performance, season after season. 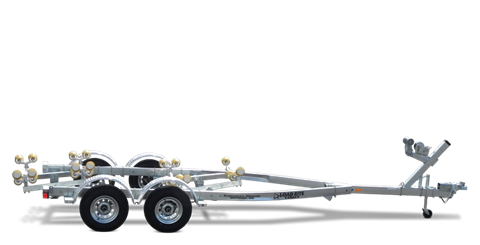 Load Rite galvanized roller trailers will carry your boat through years of heavy use.